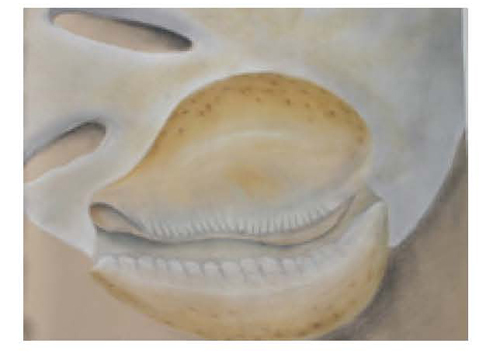 Then, create a similar study of a shell, using pastel. Follow similar blending techniques but apply color to your image. Use warm colors to advance and cool colors to recede. Include a cast shadow in each drawing.